Wizard Dojo – Page 119 – A wizard is never late, nor is he early. He reviews stuff precisely when he means to. 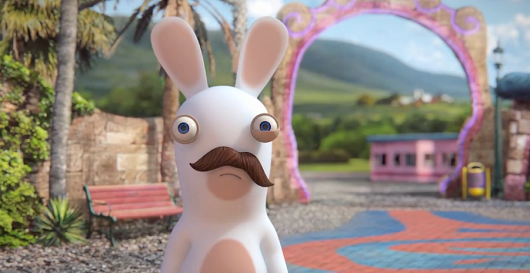 Rabbids Land takes Ubisoft’s questionably popular Rabbids characters, and drops them into a Mario Party-style scenario, complete with board game setup, with some mini-games thrown in between rounds for good measure. You start by painting your Rabbid one of the colors of the rainbow, and then you’re dropped onto a game board with three other Rabbids, competing for trophies (ten or twenty) before making your way back to the center of the board to win. You obtain these trophies by winning mini-games (three apiece), answering questions (two per correct answer) or from various bonuses provided by landing on special spaces on the game board. The standard board game gameplay is rather bland. Think Mario Party but without the fun. 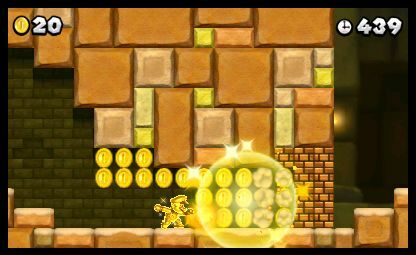 The mini-games can provide small doses of entertainment, and use the Wii U Gamepad in interesting ways, but the effects are short-lived, both because all mini-games are limited to two players (despite this being a four-player party game), and also because their are only a handful of mini-games to begin with. You can honestly play a single round of Rabbids Land and see most of the mini-games the title has to offer within minutes. 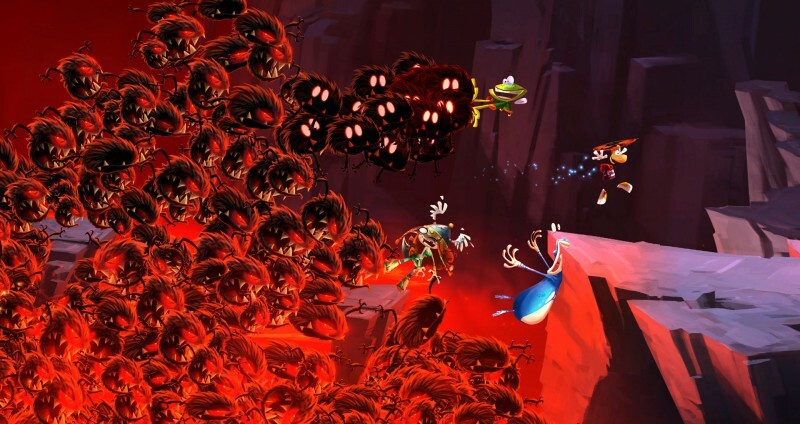 The character animations can be fun, with the Rabid’s cartoonish antics providing some comedy that will especially be appreciated by younger audiences. 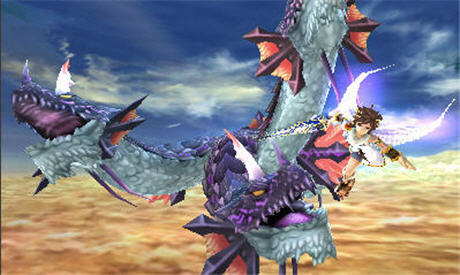 But character animations aside, the game doesn’t do much to show off the Wii U’s graphical capabilities. 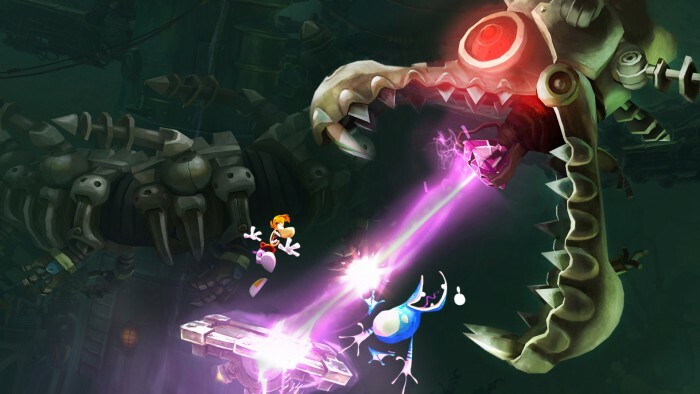 Rabbids Land may provide a small sampling of fun for a round or two, but the sheer lack of variety in mini-games and the lack of depth in the rest of the package will all but ensure your visit to Rabbids Land will be short-lived. Mario Party: Island Tour brings Mario Party to the 3DS. With it comes the good and the bad of the series. When this party game is scaled down for a handheld, one can’t help but feel something gets lost in translation. 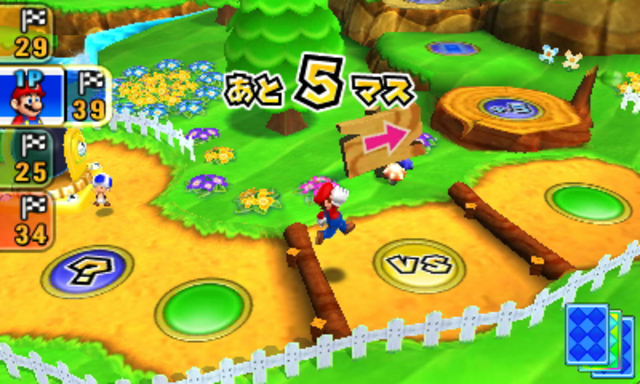 Mario Party: Island Tour’s primary mode uses a similar board game setup as previous games in the series, with mini-games sprinkled after a set number of turns. 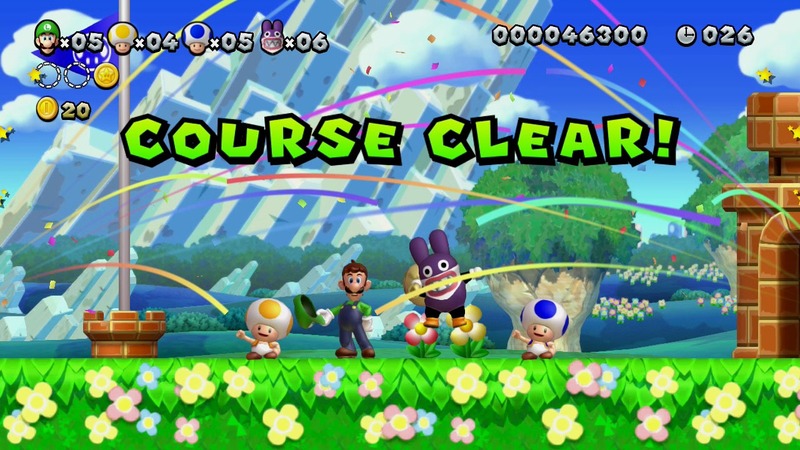 Unlike previous games in the series, however, the goal is no longer trying to gain the most Power Stars, and instead the objective is simply to make it to the end of the board before the other players. Each game board comes with its own gimmick: One sees Mario and friends in a Galaxy-style stage riding miniature rockets, where winning mini-games adds strength to a rocket boost that you can later use to get to the finish line faster. Another course is set in a haunted forest where players are given magic cards that can help or hinder their progress. The stages are all good and fun, though mini-games are used more sparingly than in previous installments (only in one stage do they have their usual consistency of one mini-game per turn). The longer gap between mini-games ends up feeling pretty noticeable, as the gimmicks to the stages can only hold your interest for so long on their own. Thankfully, mini-game mode is always an option, where you can play any mini-game of your choosing whenever you feel like it. 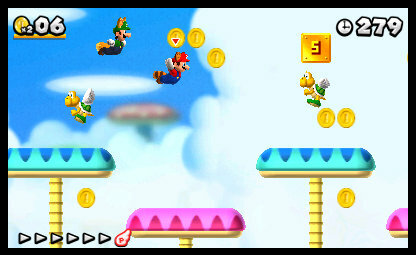 Or for a more challenging (and time-consuming) approach, there’s the “Bowser’s Tower” mode, which throws players in a succession of mini-games to progress through the titular tower, which also includes a boss mini-game on every fifth floor. These additional modes come more highly recommended in an handheld iteration of Mario Party, since the “party” atmosphere of the game can gets lost on handhelds. You can link together with friends using only a single game cartridge, which is a huge bonus, but something still feels missing when everyone can just play the game from a distance instead of sharing the same console. In a strange way, the handheld Mario Party games feel more like they’re meant to be played solo compared to the more party-oriented console versions. Admittedly, that’s not the only reason why the additional modes of the game are more recommended than the more traditional Mario Party gameplay. The board game levels, true to the nature of many entries in the series, can feel based more on luck than skill. Often times you’ll find yourself winning mini-game after mini-game, only for you (or an opponent) to land on a particular space that undoes all your accumulated achievements in a single round. You could be on your way to victory and have a bad roll of the dice bump you to last place in less than a minute. Such randomness has always been a part of Mario Party, and adds a bit of unpredictability to the affair. But one can’t help but feel after a while said randomness feels more aggravating and unfair than anything. There is still fun to be had in Mario Party: Island Tour. The mini-games come in a wide variety of fun little endeavors that make good use of the 3DS (some use the touch screen, others motion controls, and of course the standard button presses come into play), but mini-games can only go so far. Mario Party: Island Tour is fun while it lasts, but you may find it’s best played in small bursts in its mini-game modes, as opposed to being the get-together party game that the title suggests. Mario Tennis Open should feel familiar to anyone with experience in Mario’s past tennis ventures. Singles and doubles matches return, and players use tennis shots such as lobs, slices and dropshots through different button presses. The 3DS interface makes for a nice setup, and it won’t take long to master the different shots. 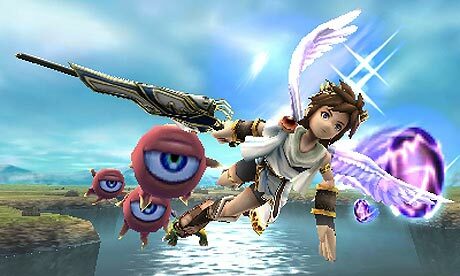 New to Open, rays of light will randomly appear on the tennis court, and performing a shot while standing on said rays of light will turn your move into a ‘chance shot,’ which are super powered versions of the standard shots. It’s a fun little addition to the gameplay, but on the downside the opportunities for chance shots occur far too frequently, making most matches more about rushing to those chance shots and less about genuine strategy. 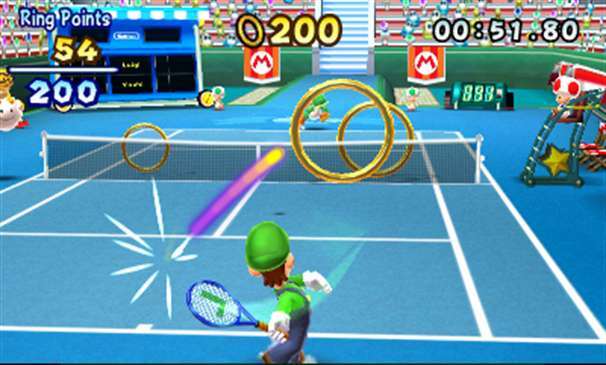 Mario Tennis Open makes some additional use of the 3DS hardware, with the gyroscope getting particular attention. 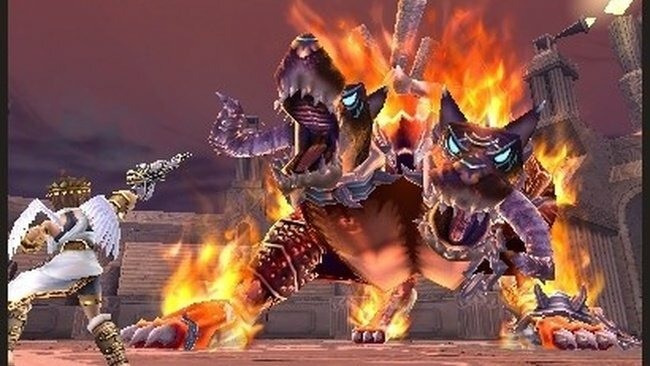 Rotating the 3DS focuses the game’s camera on your character, which may give you an appreciation for the fluid character animations, but the effect’s oversensitivity often has the camera fluctuating its focus back and forth to distracting levels. The roster is comprised of the usual Mario mainstays, from beloved icons like the Mario Bros. themselves to the Mushroom Kingdom’s fillers Waluigi and Daisy. There aren’t any surprising new additions, but the game makes good use of Miis, who can be customized through unlocked gear. Unlocking Mii uniforms, shoes and costumes can take a while, but it adds a good dose of replayability to the game. New modes, simply referred to as ‘special games’ are short, condensed bursts of fun that add a little variety to the package: Ink Showdown sees you and an opponent in a match where Piranha Plants lob tennis balls and ink blots at you, Ring Shot has you hitting the ball through rings for points, Galaxy Rally has you knock the tennis ball back and forth on disappearing platforms, and Super Mario Tennis sees your character playing perennial classic Super Mario Bros. by hitting the tennis ball against the game’s screen. These special games may not boast a lot of depth, but they do add some additional flavor and challenge to the experience. Mario Tennis Open may not be a particularly innovative entry in the Mario sports canon. But, despite its flaws, it provides the fun and quirks the series is known for, and an additional online mode ensures that you can always find a tennis partner (or rival) with ease. It may not provide the senseless hours of entertainment as Mario’s finer spinoffs, but Mario Tennis Open does offer solid fun.